The Japanese Space Exploration Agency (JAXA) will soon be testing a new technology that would use a roughly half mile long tether to grab large pieces of space debris out of orbit and dispose of them. The proposed technology, which was first announced in 2014, would include a spacecraft that would deploy a 700 meter long (2,296 feet) ElectroDynamic Tether (EDT) and guide it toward a piece of space junk. The tether would latch onto the orbiting hunk of trash, and the operating spacecraft would then drag the debris down into the incinerator of Earth’s atmosphere. A prototype system called the Kounotori Integrated Tether Experiments (KITE) arrived at the International Space Station (ISS) on December 12th and that system will allow engineers to test the mechanisms that propel the tether when it is deployed in space. JAXA released a brief description of the tether technology, as well as an animated video illustrating the details of the tether and the spacecraft — but unfortunately for some of us, it’s subtitled in Japanese only. Space debris, or “space junk,” is becoming an increasingly large problem for space agencies and private companies – even small pieces of space debris, when moving fast enough, can tear through satellites and human habitats such as the ISS a collision with space debris may have been responsible for the loss of two Japanese and Russian science satellites earlier this year. 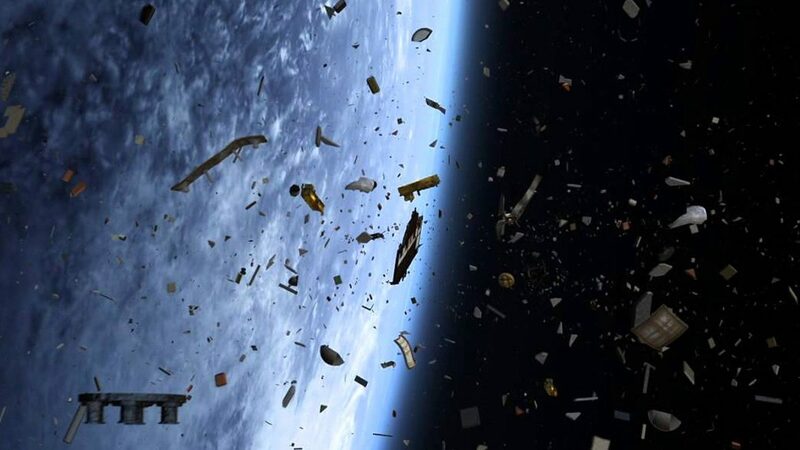 Agencies aren’t just worried about space debris colliding with working satellites — collisions among large pieces of debris can create showers of smaller pieces, which are more difficult to track. The EDT spacecraft will target large pieces of space junk, ranging in size from a few hundred kilograms to a few tons (roughly 400 lbs to about 4,000 lbs). Space agencies have been toying around with solutions to the space debris problem for years with solutions such as drag enhancement devices, lasers, momentum exchange tethers, nets and other exotic solutions all appearing then disappearing again but the Japanese seem serious about their new EDT device.